America: A Hymnal is made up of 100 versions of My Country 'Tis of Thee written from the 18th-20th c. Each re-writing in support of a passionately held causefrom temperance and suffrage to abolition and even the Confederacy articulates a version of what it means to be American. While the differing lyrics remain legible, the hymnal's unifying tune has been burned and etched away. 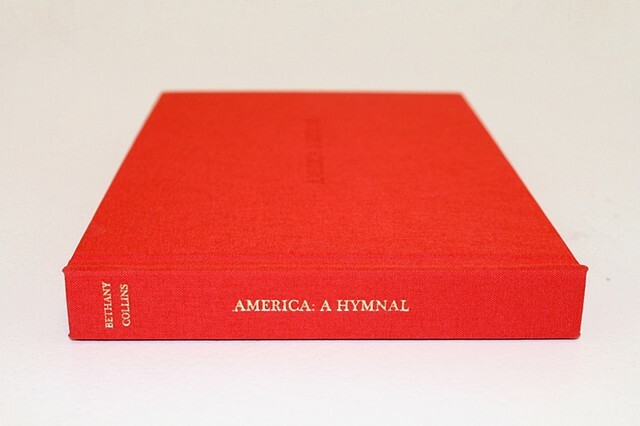 Bound and executed in the likeness of a shape note hymnal, in its many lyrical variations, "America: A Hymnal" is a chronological retelling of American history, politics and culture through one song. Written by the Rev. Samuel F. Smith in 1831, My Country Tis of Thee (also known as America) debuted on July 4, 1831. Long before Smiths lyrics were sung aloud, the tune for America served as the national anthem for at least six other countries, including the United Kingdoms God Save the Queen. And since Smiths writing, the lyrics of My Country Tis of Thee have been re-titled and re-written at least one hundred times.